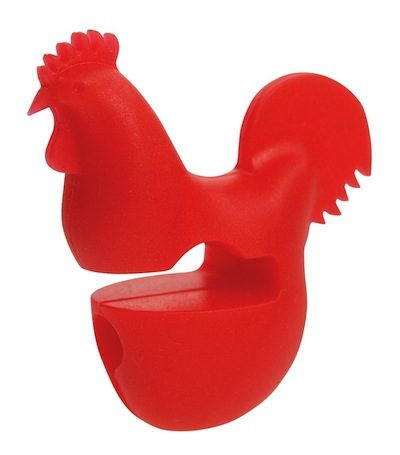 Secure Fox Run's Red Rooster Pot Clip to the side of your pot, and let it hold your utensils while you cook. No need for a messy spoon rest anymore! Made of heat resistant silicone, the cute pot clip works with most pot and pans.